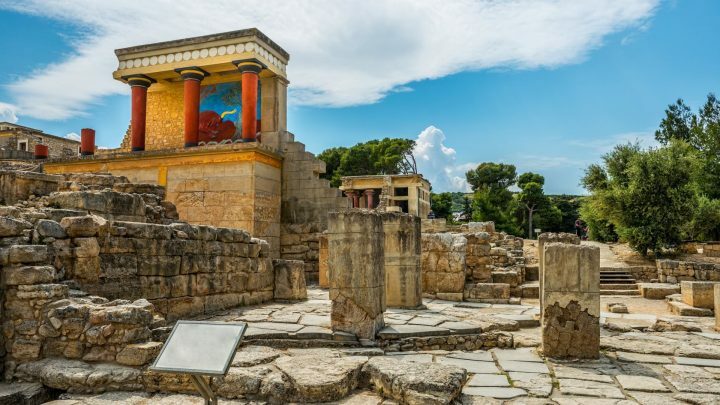 Birthplace of Zeus and the cradle of Europe’s earliest civilisation, Crete is justifiably known as the “Great Island”: few places in the world with high mountains so close to the sea are combined with an often perfect climate. Fabulous beaches and crystal clear seas welcome you to this great island. 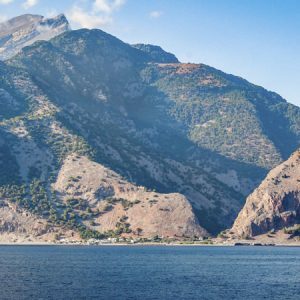 The mountains, which dominate the view as you approach, consist of dozens of peaks over 2000 metres of altitude and create a stunning scenic backdrop to life on the western side of Crete. 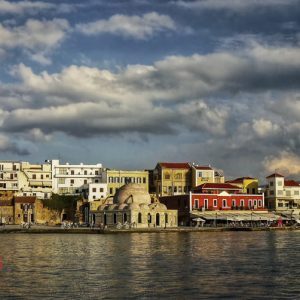 Our trip starts in Chania, probably the most charming city of Crete. 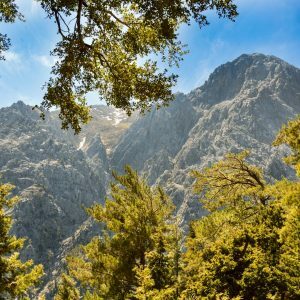 From there we head towards White Mountains (Lefka Ori), named after the shining bleached limestone in summer and the rich snow cover in winter. 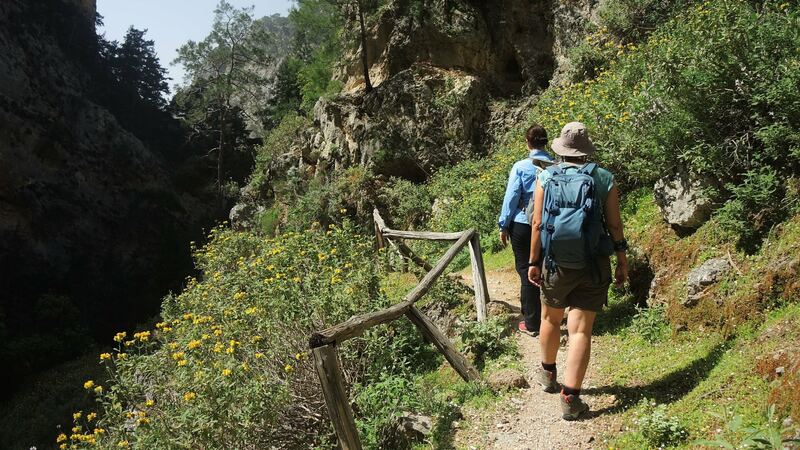 For the next week we hike a network of ancient paths and shepherd trails. 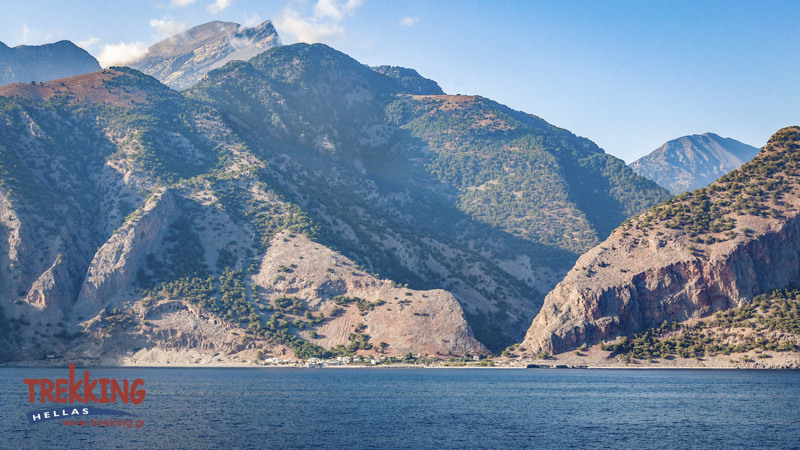 We follow the southern coastline, climb to summits, and submerge to the depths of some of the most beautiful gorges of the island, including the most famous one, Samaria. 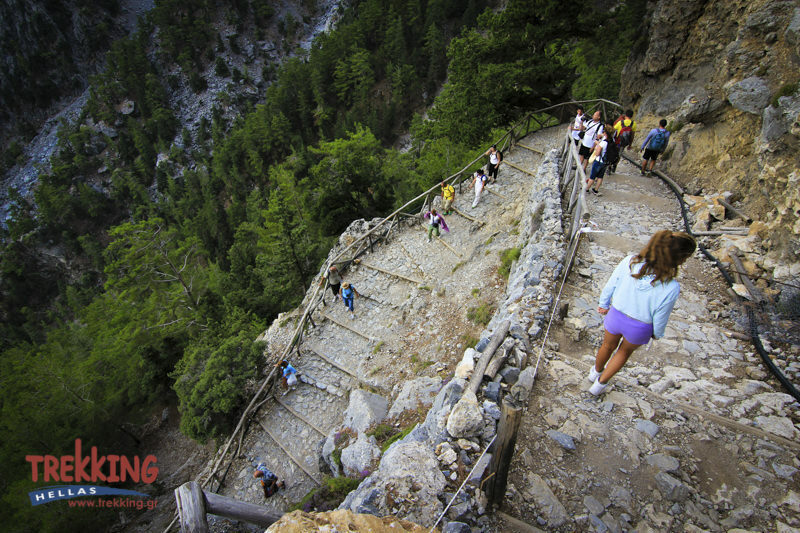 On a hot summer day, heading down to the mouth of a gorge is the ideal hike. We walk shaded from the sun’s ferocity, looking forward to a refreshing swim at the end as a reward. This trip level is moderate to strenuous. Included meals: Breakfast, lunches and dinners as indicated in the itinerary, snacks during activities. Other items of a personal nature. 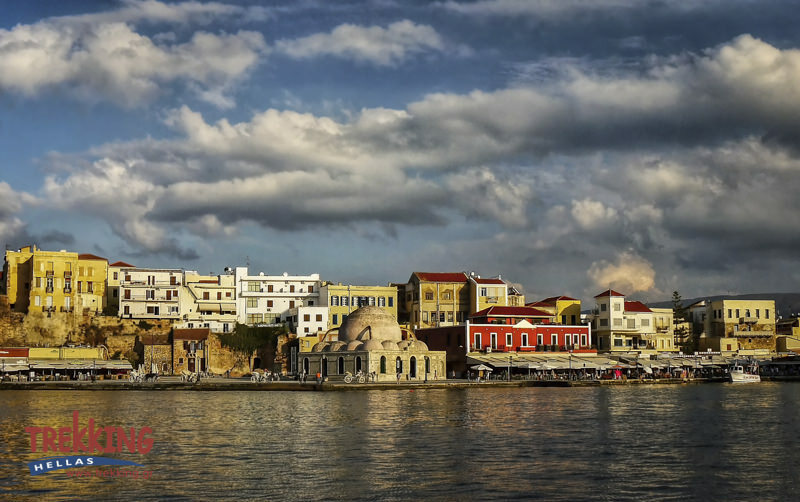 We love Chania and we believe you will too. Its perfect setting with the White Mountains as a background, lively harbour, historical remains, busy market, and nearby beaches make it the ideal spot to start a magnificent journey. We meet in the afternoon at your hotel for an introductory talk and our first dinner together in a traditional restaurant. Cretan cuisine plays a starring role and we have spent many hours enjoying countless delicacies, researching this important aspect. 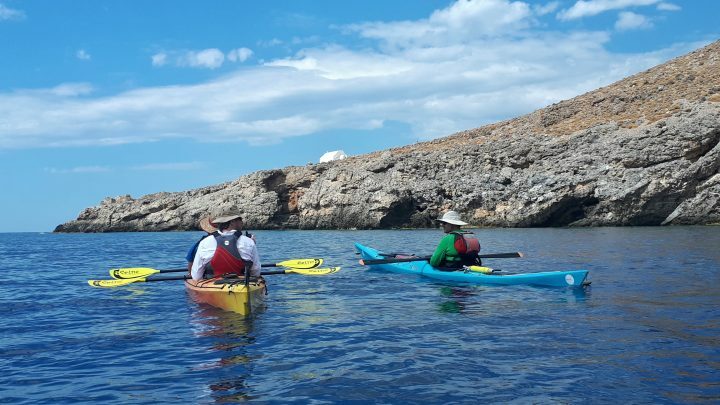 Get ready to enter the White Mountains through the narrow gorge of Agia Irini. We hike in areas of humidity and shade sustained by a variety of plants, and gigantic ancient plane trees grace a large clearing halfway up. We end up at Agia Irini village. From there we transfer to Omalos plateau. 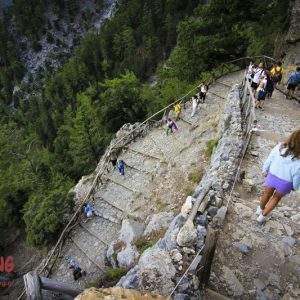 In the heart of Omalos, at an altitude of more than 1000 metres, we enjoy the evening breeze listening to the jingling of the occasional goat’s bell. Take a deep breath of the mountain fresh air and gear up for today’s high ascent. We climb Mt. 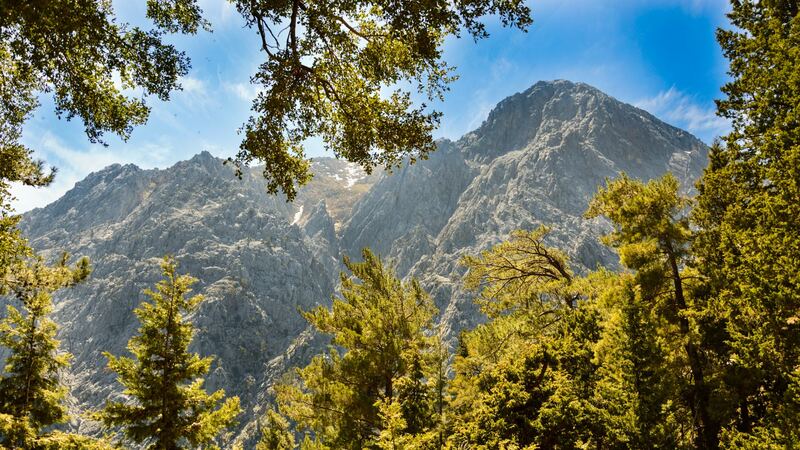 Gingilos the legendary peak overlooking Samaria with its 2080 metres high summit. Its north face, a near vertical slope of solid rock looks scary, but we follow the path round the back in order to reach the summit with only a little scrambling. 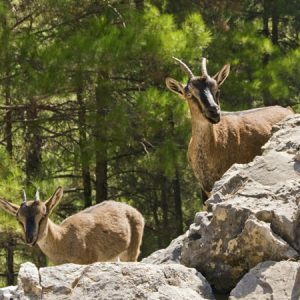 Lammergeiers, the biggest birds in Europe, from Samaria gorge, glide past this cliff top so often at midday on their foraging trips it is well worth keeping an eye out for them. 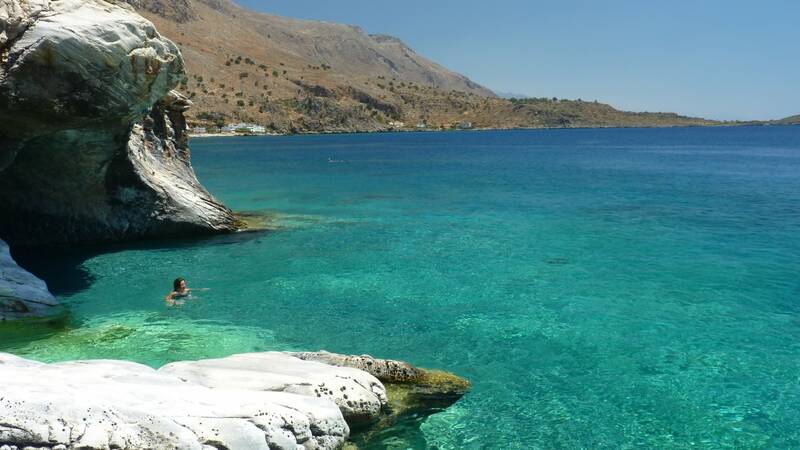 “Kalimera!” How about a dip in the clear turquoise waters of the South coast? 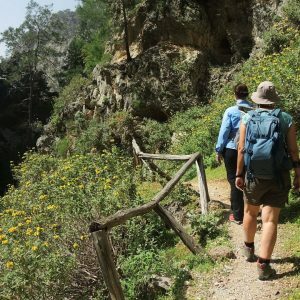 But first we have to trek through Samaria, Europe’s longest gorge which lead us to our goal over trickling streams, through forests of scented pines and the “Iron Gates”, the narrowest point where the rocks on either side are 600m high. 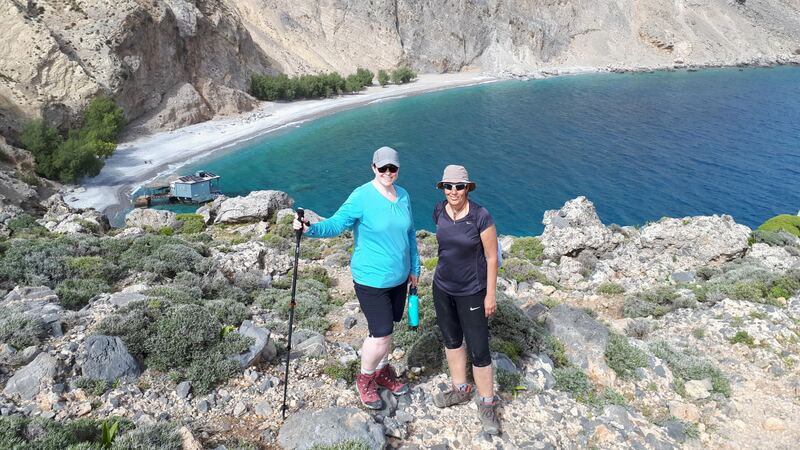 After a 16km descent we’ll reach the welcoming resort of Agia Roumeli, with its much appreciated fine pebble beach and sparkling sea, in which we stay for the next two days. A wonderful coastal walk. 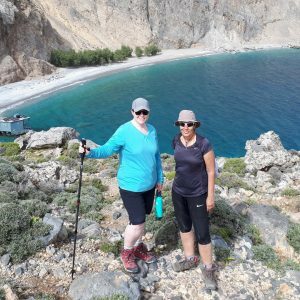 We make an early start in the cool of the morning, walking on sand and shingle next to the sea to the picturesque chapel of St. Pavlos (Paul), said to mark the place where Saint Paul landed on Crete. Next to the chapel is a freshwater spring coming out of the pebble beach. We make a short stop for swimming. Our next stop is Marmara beach where we can refresh our selves with another swim and superb lunch on the taverna overlooking the azure sea. From here a water taxi will transfer us to Loutro settlement. 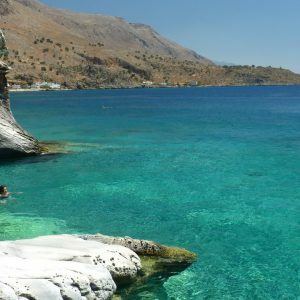 Spend a day in the tiny fishing village of Loutro which is only accessible from the sea or hiking trails. 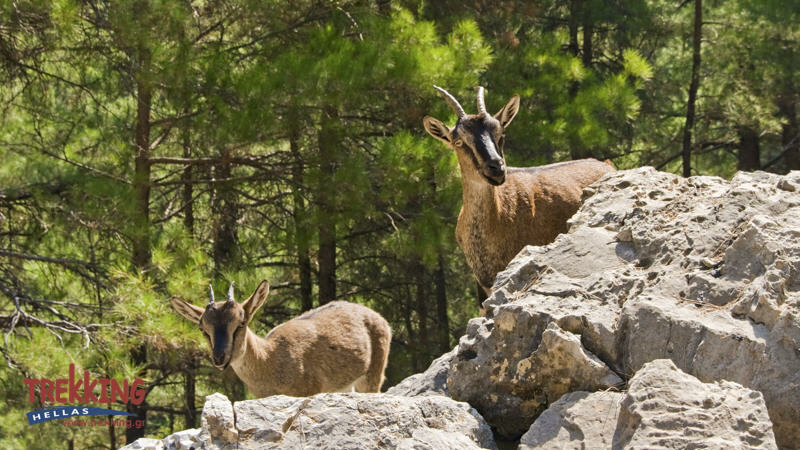 You can either spend a leisure day or hike via Foinikas to Marmara beach where is the entrance of Aradena gorge. The hike each way is about 2 hours so you can either go and return hiking or arrange for water taxi to bring you back to Loutro. Please consider taking along the following items on your trip. This is not a fixed list, but more of a guideline, so feel free to add and remove items as you see fit. 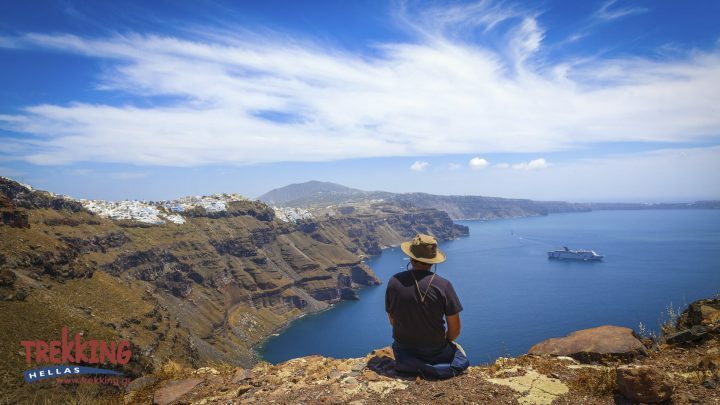 Greece has a temperate climate. Base your clothing on the “layering system”, if it is hot you can “peel off” layers quickly, if it is cooler and windy you can quickly “dress up”. Day pack to carry camera, water bottle and snacks etc. The lighter you travel, the easier you travel. Use your best judgment and pack as lightly as possible. You will appreciate light luggage towards the end of your trip.